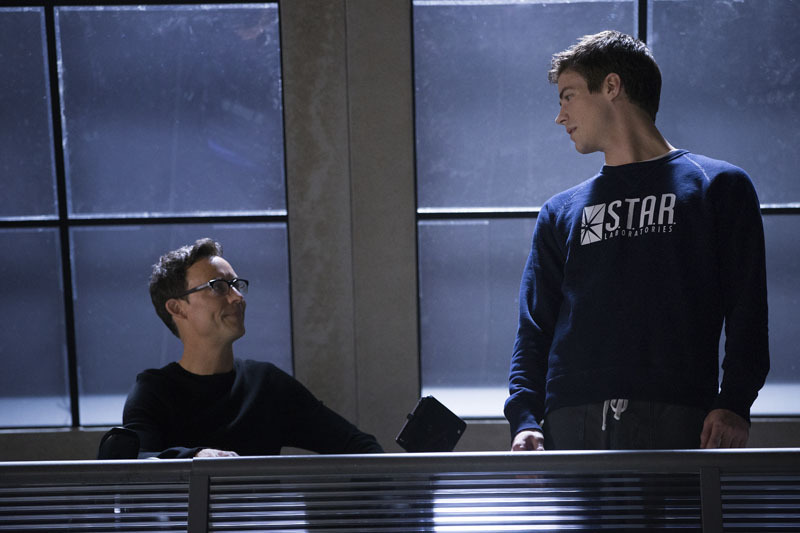 It’s daddy issues galore in The Flash episode 11, as the Pied Piper makes his great debut. And with Pied Piper comes a whole new layer for the enigmatic Mr Wells, who is proving to be one of the greatest current TV villains. 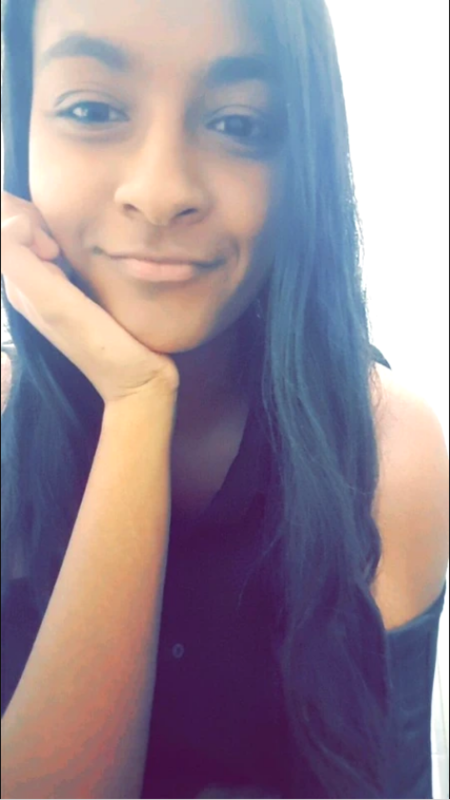 So lets discuss The Flash episode 11! The Flash episode 11 introduced us to another one of The Flash’s rogues, Pied Piper. So who is the Pied Piper? In the comics, Hartley Rathaway aka Pied Piper was born deaf, and later cured by his parents, and was one of the first characters to come out as gay. However what is unique about the character is that he is one of the few Rogues to actually switch sides and fight with the good guys. It will be interesting to see if they take that same route with the character in the show. What was great about the Pied Piper’s introduction was that it introduced yet another piece of information about the mysterious Harrison Wells. Clearly Pied Piper doesn’t have a good relationship with this father, hence he found a father figure in Wells. But obviously Wells is no daddy of the year. Rathaway actually wanted to protect people, to stop the particle accelerator from turning on, whereas Wells did everything he could to make sure the machine turned on, even with knowing the risks. 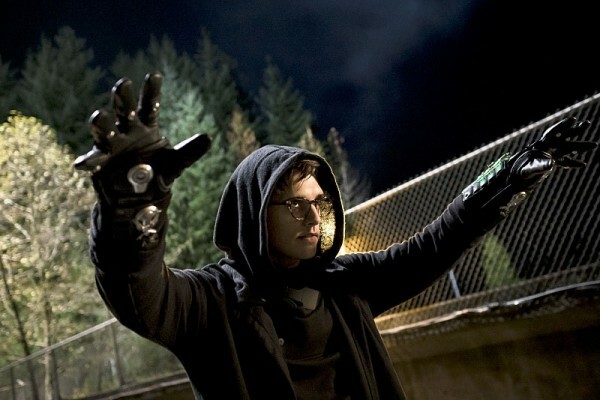 So I’m thinking the show will eventually make the Pied Piper more of a hero character, with him eventually teaming up with the The Flash team to take down Wells. And as Rathaway has stated, he knows about Ronnie, so we’re obviously going to be seeing more of Rathaway’s character. But Hartley isn’t the only one to find a father figure in Wells, Barry and Cisco have as well. In the battle for Wells’ love, they all want to impress him, and make sure they don’t let him down. Harrison has a certain pull over people, with all his great wisdom and all, Wells is the master of manipulation. 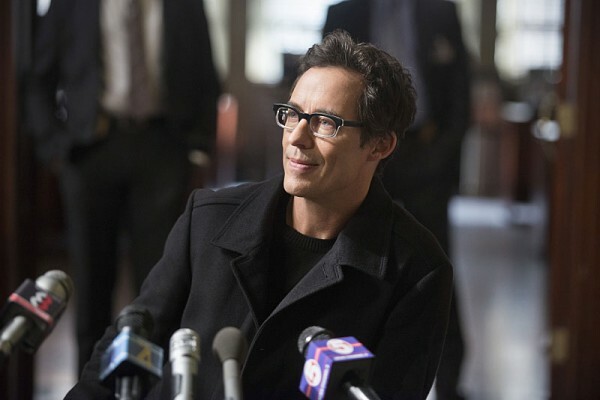 Although Barry’s other father figure, Detective West has got his suspicions over Harrison Wells, and is furthering his investigation. Oh yes! Everyone else seems too mesmerized by Wells’ intelligence to suspect otherwise, but West knows what’s up. With Eddie also part of the investigation I’m super excited to see the clashing of Eddie Thawne and Harrison Wells, who I believe are both Reverse Flashes (Eddie just doesn’t know it yet). Oh and what’s up with Harrison Wells and his speed issues? We saw him zipping around in the episode, but we also saw him losing his speed. What we know is that Harrison Wells is connected to the Speed Force, but can’t stabilise his speed for unknown reasons. He was using the Tachyon Plate to help stabilise his speed, but that was only a temporary fix. So the question is how is he going to get his speed back through Barry? Wells is continuing to prove that he is by far the most interesting character on the show, and I love that they are slowly revealing more and more about his character. 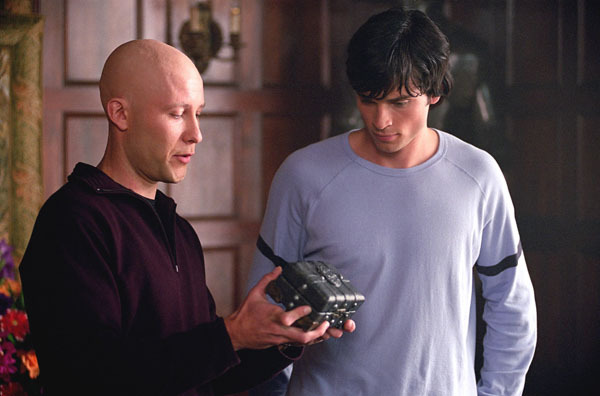 Barry and Wells have a relationship similar to Clark Kent and Lex Luthor’s relationship in the early seasons of Smallville. Clark and Lex were great buddies, with Clark often going to Lex for advice. However Lex’s yearning for knowledge and control eventually led to the villain Lex Luthor we all know and love. A similar thing is happening with Barry and Wells, except that we don’t actually know if Wells genuinely likes Barry or not. I feel like Wells will have a similar role to Lex Luthor’s in Smallville. Next week in The Flash we’re meeting Linda Park, who is famously the other Flash, Wally West’s wife, however looks like Barry will be stealing his girl for a little while, and it will be great to see Barry forget about Iris for a little while. Overall The Flash episode 11 was another really great episode. I want to see more of Pied Piper, because it looks like he holds the key to unlock a lot of the mysteries involving the wonderful Harrison Wells. Watching the flash last night made me realize why they opted for krypton on syfy instead of booster gold. The flash has already introduced time travel, booster is a time traveling character. The second season of the flash which has been green lit, can introduce booster, it’s that simple. As far as another spin-off on the cw only two options make sense, black lightning or the atom. Firestorm could work but it might stretch the budget. It’ll probably be atom for three reasons. First he’s already been introduced, second it would be a james bond tech type of show. The third reason is cynical but true, ray palmer is a white character so that show would get higher ratings. To get back to your topic, it’s clear that there is a reverse flash and a third speedster. Wells is obviously the third speedster. I believe reverse flash is someone from the future. Wells is around to protect barry for reasons to be revealed. It’s just a theory but who knows. Booster Gold would fit so well into The Flash universe that’s a great idea! And I would rather an Atom spinoff just because I love Ray on the show, and he already has become a fan-favourite so the show would probably rate well.